Is your current screen door or security screen in need of a makeover or revamp. You cant go past our Crimsafe Security Door Brighton. Did you know that older screen doors and security doors are a victim of constant break-ins. This is simply because they are so easy to do so. Here at Max Security Doors & Screens we are the specialists in all things Crimsafe security doors in Brighton. In fact we are even one of South Australia’s largest dealers of all Crimsafe products. We pride ourselves on our range of Crimsafe products and services. All of which will leave your home as safe as it possibly can be. For all of our services both on security doors and security windows and all Crimsafe products call today. We will even arrange a time to offer a complementary measure and quote. This includes all custom screen door or security windows. Did you know that the Crimsafe security door is like no other. All Crimsafe security mesh is used with a heavy duty and highly technological mesh screen. It is virtually un-penetrable by intruders that will leave your home as safe as it can be. No matter what colour or design you are after. The team at Max Security Doors and Screens will be able to accommodate you. Making that sure you are getting the best solution and product available. Crimsafe Security Door Brighton. 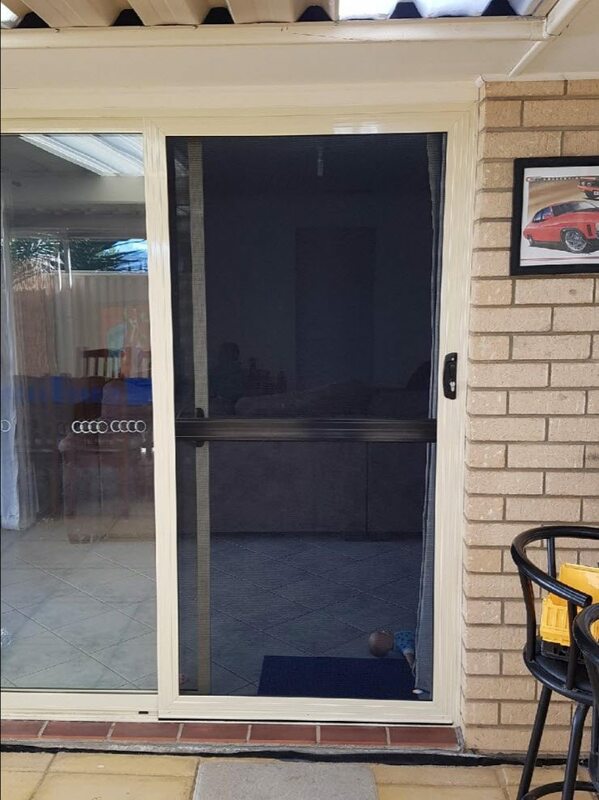 The specialists in all things security doors in Adelaide. For a free measure and quote for a fully custom screen door or security window call us today. Here at Max Security Screens and Doors we recently installed a fully custom Crimsafe Security Door Brighton. This security window screen was made to measure and had stainless steel materials as well as vision restricted mesh. This allowed the door to flow with the surroundings and outlay of the house. Protect its owners from all intruders, insects and prevent any broken windows. For all of your security window screen needs you cant go past our CrimSafe security mesh which is an option for all security doors and security window screens. The photos below show the completed job for a Crimsafe Security Door Brighton in a cream colour to make it suit and blend in with the rest of the house. If you would like something similar to this, or even just want to get a free measure and quote and see what other options are available please contact us on 08 8186 5733 and one of our friendly staff will help you out.